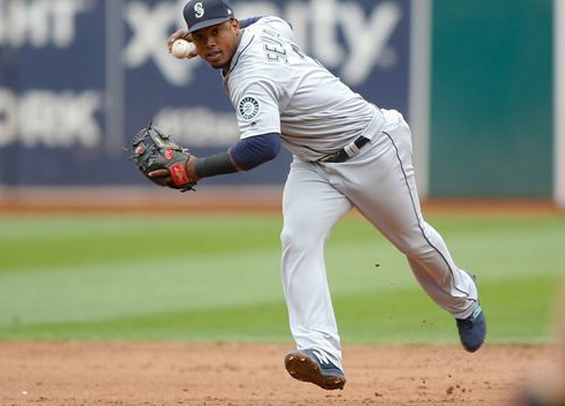 All signs point to the Phillies bolstering their infield within the coming days as the club is believed to be receiving All-Star shortstop Jean Segura in a deal with the Mariners. Reports of the deal first surfaced late Sunday night with The Athletic's Ken Rosenthal among the first to mention the potential for a trade. In exchange for Segura, it's believed the Phillies will send shortstop J.P. Crawford and first baseman Carlos Santana to the Mariners. There are additional pieces to the deal that, at this point, remain unknown. One source told The Review on Monday afternoon the Phillies could potentially receive Felix Hernandez in the deal as a salary-dump to cancel out the cost of Santana. Hernandez is owed nearly $28 million next season while Santana is owed a little over $41 million over the next two seasons. Segura, 28, hit .304/.341/.415 with 29 doubles, 10 homers, 20 steals and 91 runs last season with Seattle. He can hit at the top of the lineup and is an above average defender with experience also at second base. He's owed nearly $60 million through 2022 and immediately makes the Phillies a better ball club. The move also allows for the club to put Rhys Hoskins back at first, a request the young slugger made late last season, and opens a slot in the outfield. The move does not preclude the Phillies from still making a run at superstar Manny Machado, but it does mean if he were to sign with Philadelphia he'd be playing at third base and not his preferred position of shortstop.